4 x 2 hour-long evening sessions on Thursday 28th September, 5th, 12th and 19th October. Each session provides a model for understanding a different part of the design process together with practical strategies for application in the workplace. In the first session we will introduce a common language for describing the design process, and look at how this manifests itself in different contexts, both at work and in our daily lives. In session two we will practise techniques for developing and responding to design briefs. In this workshop we will role-play the designer/client relationship to get into the mind-set of these two roles. We also introduce the design brief that participants will collaborate-on in groups. In session three we introduce practical techniques for idea generation and use these in response to the group design brief. This workshop is packed with fun and effective techniques that participants can take away and apply immediately in the workplace. In our final session we look at the importance of effective modelling and testing as a way to develop appropriate responses to a design brief. We use these techniques to hone groups’ responses to the brief. We will conclude with an exercise to help us understand our personal approaches to design. We are delivering this course in association with the Engineering Club. This course is designed for engineers and other professionals working in the design and construction of the built environment. 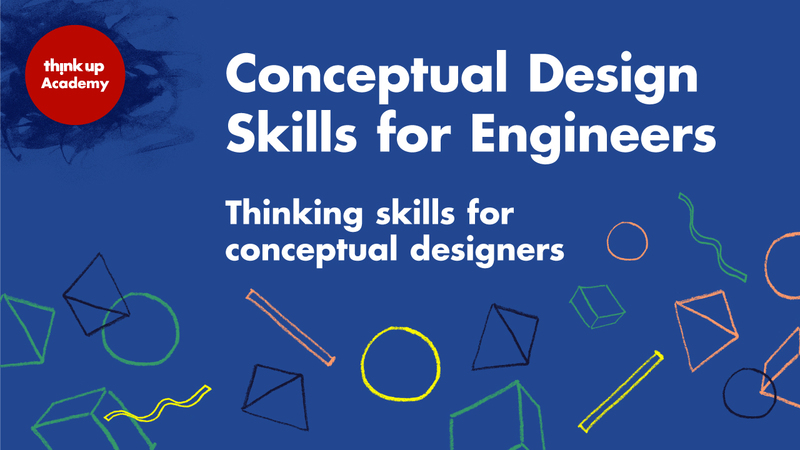 Think Up is an education consultancy specialising in teaching design thinking to students and practising engineers. Think Up’s model for teaching design thinking dates back to the creation of the Creative Design course at Imperial College in 1999. Since then we have been developing our approach with UCL, Yale, and Cambridge universities; Expedition Engineering, Arup and, more recently, back at Imperial College.